Venezuela’s humanitarian crisis continues to worsen with no end in sight. 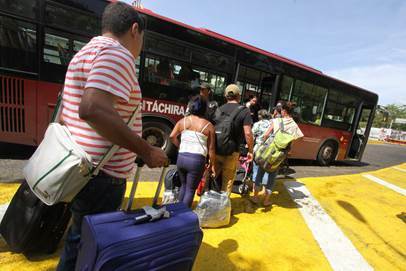 Its neighbors face the pressure of a mass exodus of Venezuelans that is increasingly hard to contain, and which will only intensify in the coming months. Moving forward, the international community, the region, and civil society will have to adapt to this new reality and work to mitigate the humanitarian, social, and economic impacts of the crisis. AS/COA will bring together international migration and humanitarian experts to discuss lessons learned in similar crises around the world and explore solutions that can be implemented in Venezuela and the region to tackle the migration crisis in the short and long term. information on joining or supporting the VWG. This event is complimentary. Prior registration is required but onine registration is now closed. You may still register at AS/COA on Thursday, June 7, at 8:00 a.m.
Not a member yet? Join the YPA or President’s Circle. Cancellation: Contact Juan Serrano-Badrena at jserrano@counciloftheamericas.org before 3:00 p.m. on Wednesday, June 6. On Thursday, June 7, AS/COA will bring together international migration experts to discuss solutions to tackle the migration crisis. Registration: 8:00 a.m. to 8:30 a.m.
Panel Discussion: 8:30 a.m. to 10:00 a.m.
Patrick Gage is director of development at the Scalabrini International Migration Network. He also co-chairs the NEXUS Working Group on Human Trafficking and Modern Slavery and serves on Nomi Network's Board of Directors. Gage received his BSFS in international history from the Edmund A. Walsh School of Foreign Service at Georgetown University. Lara Setrakian is CEO and co-founder of News Deeply. Previously, she spent five years in the Middle East reporting via television, radio, and digital platforms for ABC News, Bloomberg Television, the International Herald Tribune, Business Insider, and Monocle magazine. Setrakian is a young global leader with the World Economic Forum and a term member of the Council on Foreign Relations. She holds a bachelor’s in government from Harvard University. Christine LeViseur Mendonça is the CEO and co-founder of Humans on the Move, a social impact advisory focused on connecting private, humanitarian, and public sectors to rethink the response to the global forced displacement crisis. She is an international speaker, addressing the United Nations, conferences in Europe, and the Middle East. Christine received her MBA at Thunderbird in 2010, and a BSBA in international business from Appalachian State University. She has also studied at ITSEM in Cuernavaca, USF, and American University in Paris.